Discover the exciting complexity of the green tea world with our Green Tea Bundle, offering a rich collection of five flavorful organic green teas. 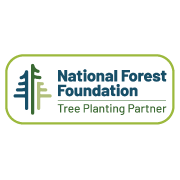 The ancestor of all modern teas is green tea, a simple name that describes a surprisingly complex beverage. For thousands of years, tea growers have tested, tempered and perfected a variety of techniques, creating a rainbow of colors and tastes ranging from bitter to sweet to savory. This green tea collection features five exceptional green teas, from classic sencha to complex dragon well. 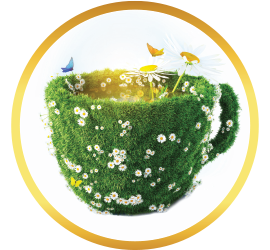 It’s the perfect opportunity to discover all that green teas have to offer. Sencha Green Tea: The most popular green tea in Japan, sencha has a rich, complex taste that is also versatile, and can be made sweet or savory according to your preference. 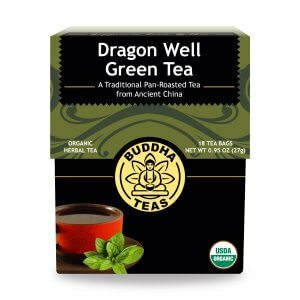 Dragon Well Green Tea: Smooth and mildly sweet, this excellent green tea is a great starting point for beginners to the tea world. 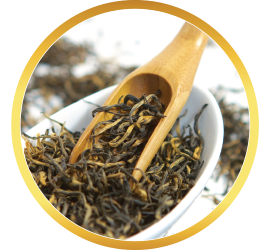 Gunpowder Green Tea: Named for its tightly rolled leaves, this tea features a deep, savory and sometimes smoky flavor. 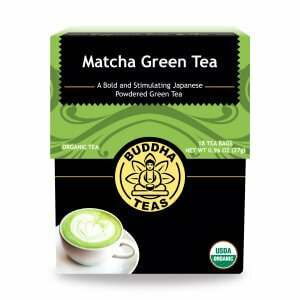 Matcha Green Tea: Matcha is a powdered tea made from stone-ground green tea leaves. 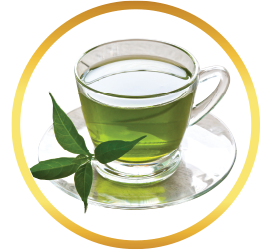 Mixed into the water, it creates a potent, creamy and invigorating green tea. Genmaicha Green Tea: This tea features green tea leaves mixed with roasted grains of brown rice. 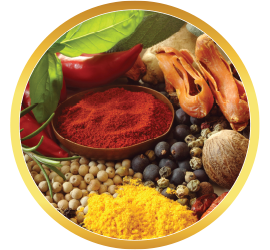 The result is a sweet and salty flavor to excite the taste buds. The Green Tea Bundle is a perfect choice for tea drinkers of all types. 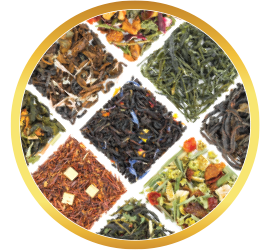 Newcomers can sample all five exceptional teas and find the one that speaks to them, while experienced tea drinkers will enjoy the variety this bundle can offer. Best of all, this bundle offers all five teas for the discounted price of $39.99! It’s perfect for expanding your tea collection or gifting to family and friends. 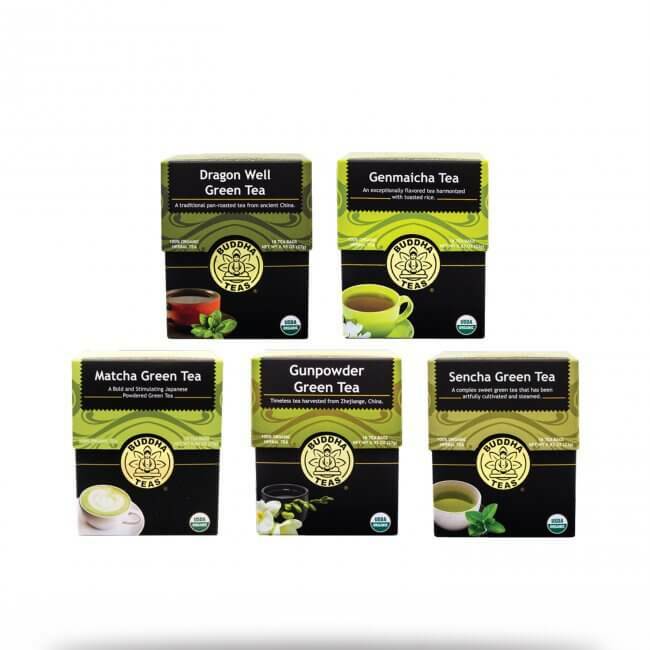 Grab the Green Tea Bundle today and explore these enchanting green teas for yourself! Review Title: The best tea bundle ever! I love green tea and this bundle had teas that I haven't tried yet, so I ordered them, and this was the best decision I ever made about tea. Super delicious, not too strong, not too light, just perfect. If you wonder how green tea without additional flavoring can have five different flavors, this bundle can answer your question. 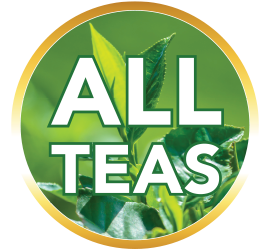 High quality tea has enough flavor without artificial or natural flavoring. My favorite from this set was Gunpowder Tea and the least favorite was Genmaicha, which has very specific roasted taste that I wasn't used to, but after having it twice, I kind of like that it's so different from the rest. I gave one bag of each five teas to two of my friends and after trying them all, both of my friends ordered their own bundles. 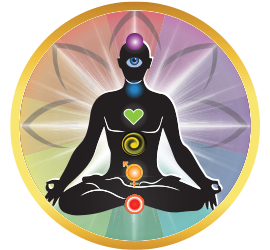 I buy all of my green and herbal teas from BuddhaTeas because of their high quality and pure taste. When I pull a tea bag out of my tea, I can see actual tea leaves, which was not the case with any other tea bags I got so far. 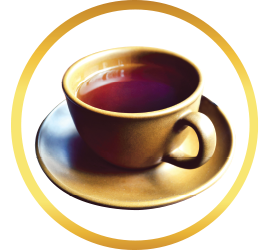 This tea is everything I look for in my tea, and is a great treat for me every day. 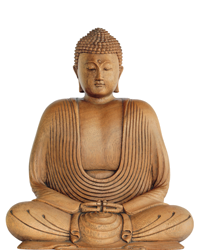 My Naturopathic Oncologist introduced me to Buddha Teas and now I'm hooked! If this is the tea she recommends, I won't drink anything else! I love that the tea doesn't get bitter even if I don't take out the tea bag! I've become a tea fanatic after switching over from coffee. Coffee gave me the jitters and crashes. 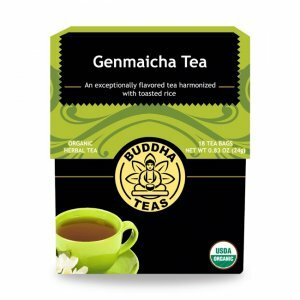 The green tea from Buddha teas is delicate smooth and not bitter. I have consistent energy with out crashes. If you love green tea I would get the bundle, each tea is remarkable and it been quite enjoyable trying each of them. I've definitely discovered some new favorites! Got the sample pack but have never tried Gunpowder Tea, and now it is my favorite, behind Earl Gray of course! These are the best teas I've ever drank. My daughter got me some as a gift, I loved them so much that I've already placed several orders for myself and as gifts. The flavor is sooo good and natural you can just taste the quality. So pure and natural. These teas are all I drink. So many teas so little time! Love them! Love the company! Wonderful green teas. Each with a little different flavor. I AM IN GREEN TEA HEAVEN. SIMPLY DELICIOUS. This is a great value and a great selection.